Das Label Nordavind ist bekannt dafür nur die feinsten Juwelen auszugraben. Das ist bei der woman fronted Band aus Portugal Inner Blast nicht anders. Mit ihrem erfrischenden Stil und der engelhaften Stimme der Sängerin Liliana bereichern Inner Blast die Metal-Szene nachhaltig. Die Musik von Inner Blast ist dynamisch, vielseitig und jeder Song vermittelt eine andere magische Stimmung. Open-minded and forward-thinking label Nordavind Records continues its meticulous method of unearthing only the finest gems from the underground. Portuguese female-fronted band Inner Blast are no different. They are a breath of fresh air in a crowded, predictable scene, and are here to change the game with their refreshing style of metal music that’s graced with the angelic voice of Liliana. The music remains dynamic, as Liliana flexes her vocal cords to suit the varying nature of the songs, each showcasing unique myriad moods and shades. 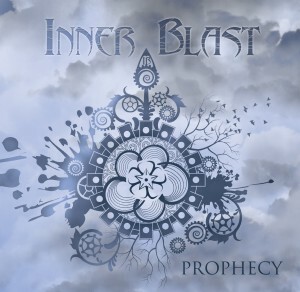 In a word, the music can be described as inspiring; this is Inner Blast’s finest hour, where everyone in the band pushes the envelope and sets new standards not just for themselves but for everyone playing in the style internationally. ‚Prophecy‘ is a highly accomplished and mature effort, from a band that are destined to make a name for themselves. Tantalizing, mesmerizing and scintillating.